BANGKOK, Jan. 24, 2019 /PRNewswire/ -- Thailand's ongoing efforts to create a comprehensive ecosystem to support the country's digital industry have been progressing rapidly in recent years thanks to such government flagship initiatives as Digital Park Thailand (EECD) and Smart City. The development of cutting-edge infrastructural facilities to support these initiatives has brought unprecedented opportunities for investors and business leaders, Thailand's Board of Investment (BOI) says. 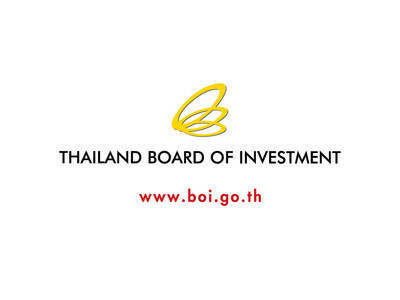 With the aim of attracting foreign and domestic investments in Thailand's digital industry, BOI has continued to introduce new investment schemes and improve existing ones. As part of that effort, investments in high value-added digital industries that meet the criteria will be granted a corporate income tax (CIT) exemption of maximum up to 8 years. The types of digital businesses that are seeing an increasing number of applications for investment incentives include software development, digital platform services, cloud services and innovation incubation centers. In addition, investment projects in the digital industry located in EECD that have collaboration with educational institutions to develop human resources will be eligible for a CIT exemption for up to 13 years. In particular, target activities in the EECD that are entitled to maximum investment incentives include software development, digital services, digital parks, data centers, innovation incubation centers, cloud services, R&D, and relevant services. Investments in Smart City projects will be eligible for a CIT exemption for 5-to-8 years. Investment projects located in the Eastern Economic Corridor will be eligible for a 50% reduction in CIT for an additional five years after the end of the CIT incentive period. Promotional privileges have covered three business activities, including Smart City development, Smart City system development, and smart industrial estates or zones. The Phaholyothin Transportation Center project, which is the Bangkok metropolitan area's new transportation hub with seamless connections of rail and road transportation at Bang Sue, has been chosen as a target area for the Smart City development initiative. The new smart business complex project, implemented under the public-private partnership scheme with the investment agreement expected to be finalized by the end of 2019, is slated to become a new epicenter of urban and economic development. It will boost ease and convenience of transportation. The soon-to-be opened True Digital Park, Thailand's first digital park that received investment privileges from BOI to the tune of 1,580 million baht, is now setting a clear path for a robust boost to Thailand's digital industry. Located on Sukhumvit Road, one of Bangkok' most dynamic business districts, the park is poised to become a global startup destination for technology and innovation development in Thailand. It will connect international startups, entrepreneurs, tech companies, accelerators, incubators, academies and government agencies.